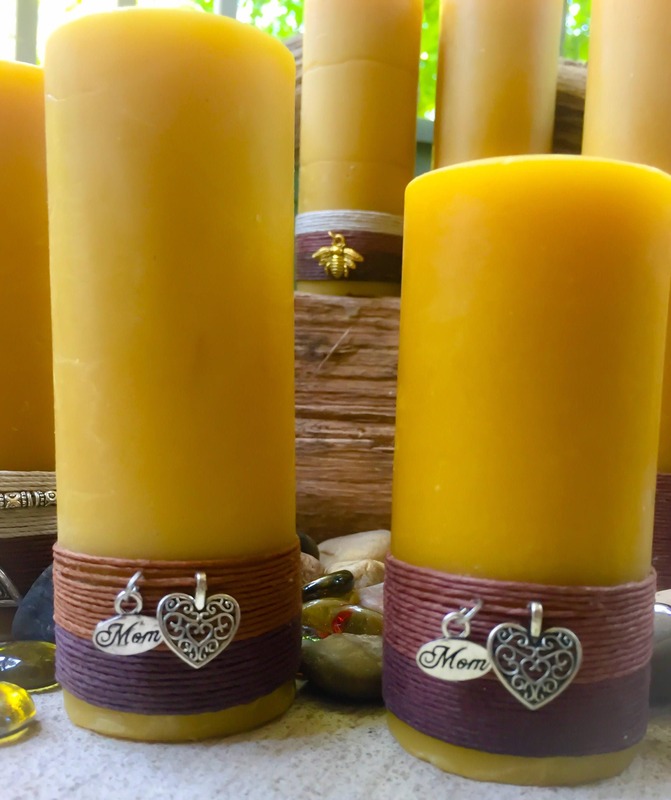 Hand poured, 100% Pure Beeswax Pillars wrapped in a natural hemp cord and affixed with Mom & heart charm. 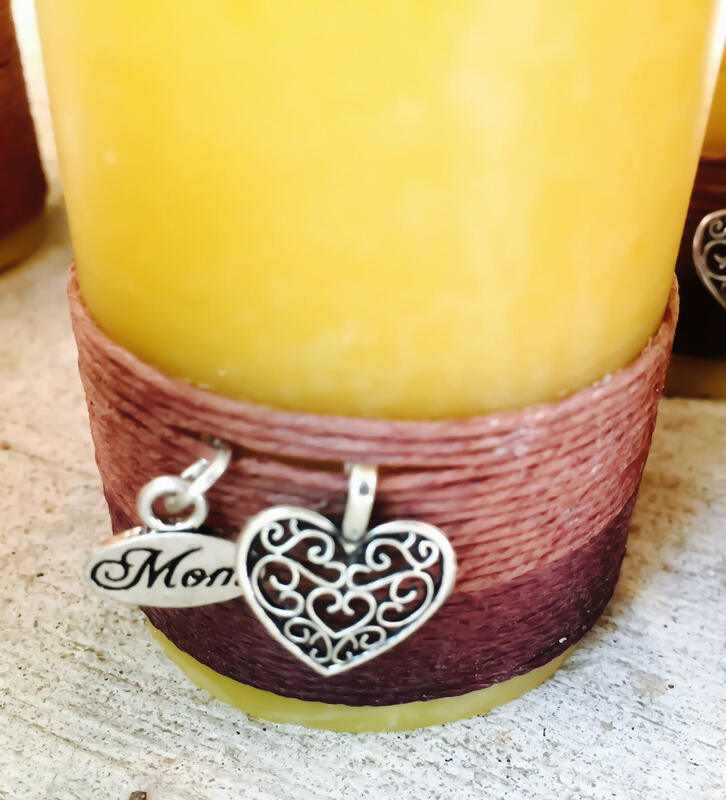 They're a great gift for Mother's Day or anytime for all the great Moms in your life. 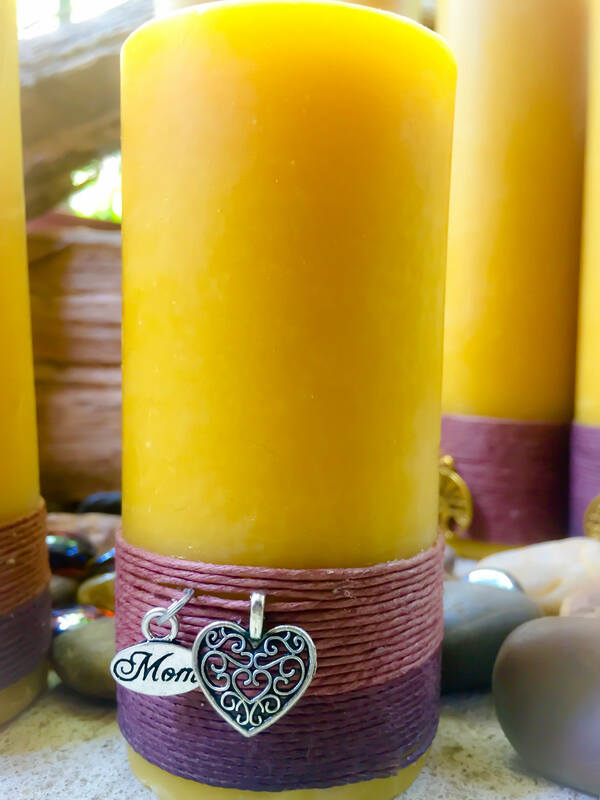 This listing is for one 100% pure organic beeswax pillar candle. 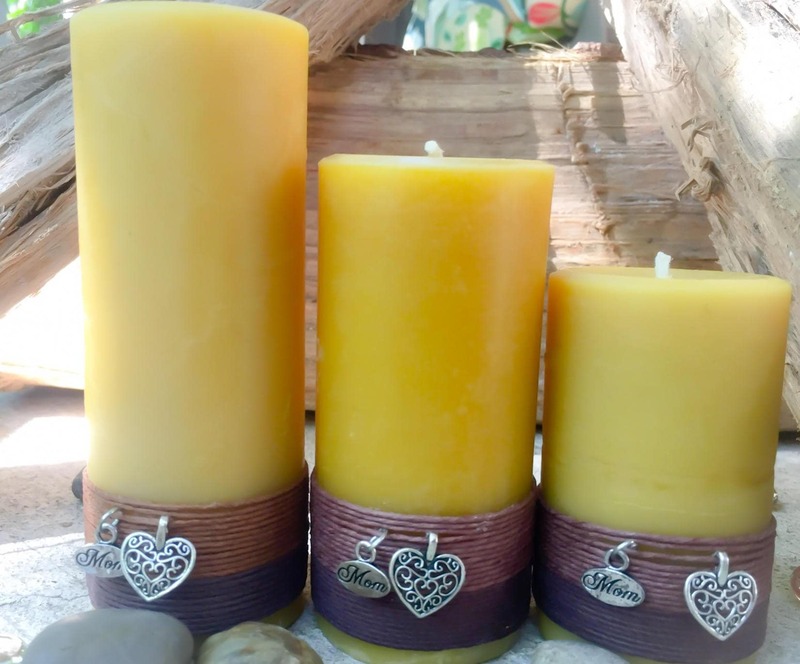 It's 2" in diameter and you can choose a height of 3", 4", 5" or 6" (8, 10, 13 or 15cm). 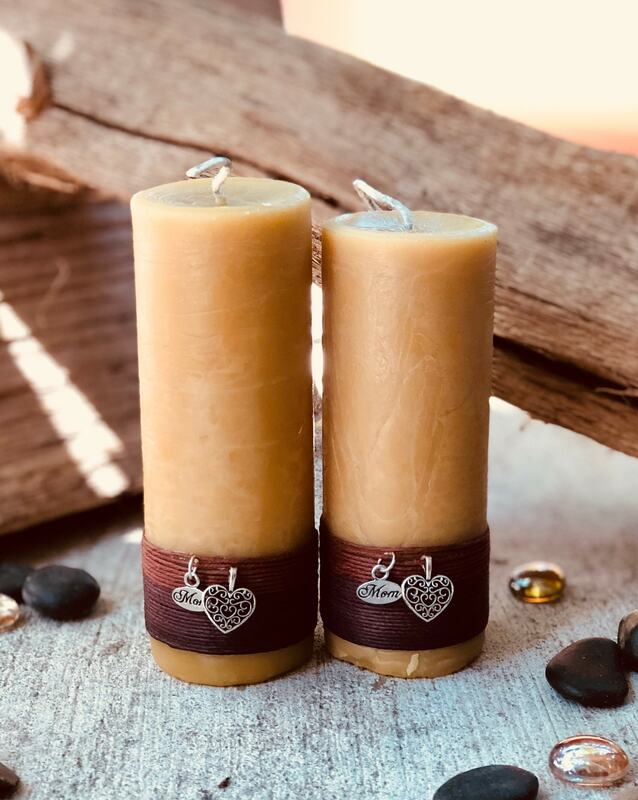 It's decorated with all natural hemp cord. 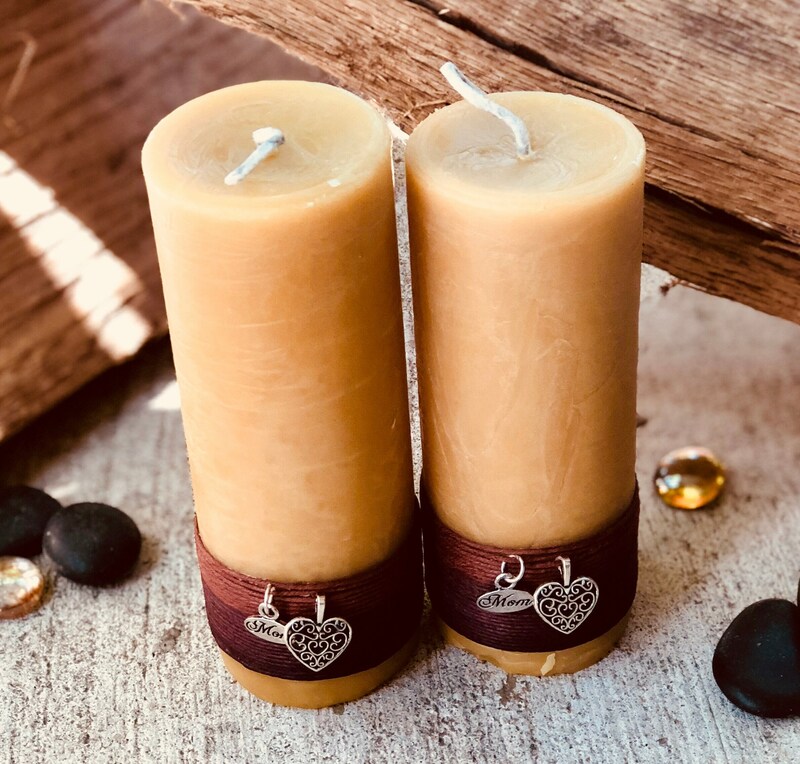 The candles are beautiful and well made. I enjoyed doing business with you.